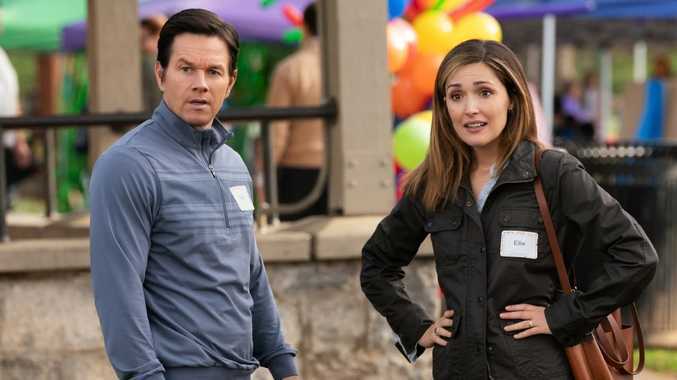 THERE'S an appealing, lived-in quality to this accessible family comedy, which stars Rose Byrne and Mark Wahlberg as two woefully ill-prepared foster parents. It's got very little to do with the production design - the aspirational houses are storybook sitcom - or the formulaic plot, but rather the ever-so-slightly rumpled lead characters and the everyday situations they find themselves in. 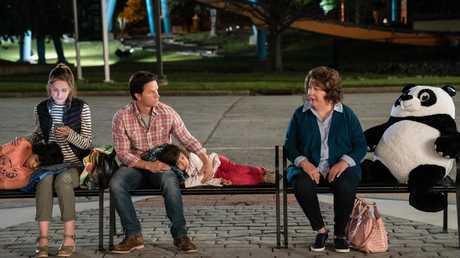 This might well be explained by the director and co-writer's pedigree: Sean Anders based Instant Family on his own experience of adopting three children out of the foster care system with his wife, Beth. The parent support group sessions, for example, feel unusually relaxed. While she might not represent your average thirty-something foster mother-of-three, Byrne dials down on the hair and make up to support a more cinematically honest version of said occupation. Much as she did in the Bad Neighbours films, the gifted Australian comedienne offers a refreshing, alternative version of parenting here - in which her character basically makes it up as she goes along. Instant Family's middle class renovators are more grown up than their next-door-to-a-Frat House counterparts in the cheerfully vulgar Seth Rogen comedies, but they, too, appear to be operating without a script. The situation is exacerbated by their inexperience. Ellie and Pete Wagner become parents overnight when they impulsively decide to foster an adolescent teenager and her two younger siblings. Having bounced from foster home to foster home, Lizzie (Isabela Moner) is soon running rings around them, accusing Ellie of being a fake Mom and Pete of being a white saviour. When they attempt to reign her in with a bit of basic behavioural psychology, she throws it straight back in their face. Her younger siblings aren't quite as angry, but their actions can be almost as hurtful. Wahlberg's well-meaning foster dad is even more clueless than his overstretched wife. But somehow, the children respond to him more easily. He's elated when youngest daughter, Lita (Julianna Gamez), casually calls him Dad. Byrne's depiction of a mother desperate for a bit of reciprocal affection - she runs after the child in attempt to share a bit of the love - is spot-on, if slightly embarrassing. Octavia Spencer is as solid as ever as the plain-talking, seen-it-all social worker and the filmmakers go easy on the stereotype of the crack-addicted biological mother. Instant Family follows a well-trodden path - there is never any doubt about where it's headed - and the episodic structure doesn't quite hang together. But there's something genuine about the filmmakers' intentions and that shines through, supported by the photographs of the real-life foster families that appear in the closing credits. Instant Family opens in cinemas tomorrow.